Rolla, Mo. 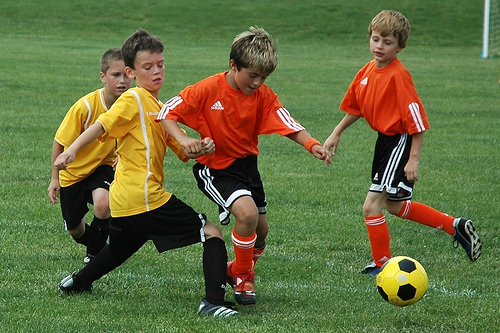 — Walk-in registration for the Rolla Area Youth Soccer League (RAYSL) will be held on Saturday, August 28 from 10:00 am – 2:00 pm in the Mark Twain Elementary School cafeteria (old gym). The registration fee is $35 per player. Players must provide a photocopy of their birth certificate if one has not been previously submitted. Players may also register by mail. Mail-in registrations should be sent to P. O. Box 1515 Rolla, MO 65402. Mail-ins must include a completed Missouri Youth Soccer Association (MYSA) membership form, a check made payable to RAYSL (please include the player’s name on the check), and a photocopy of the player’s birth certificate if one has not been previously submitted. Mail-in registrations postmarked after Friday, September 3, are considered to be late and subject to an additional late fee of $7. Late registrants are not guaranteed roster spots. Registration closes on Friday, September 10. No registration will be accepted after this date. MYSA registration forms are available at The Centre, Vessell’s Fitness Complex, Key Sport Shop, and the RAYSL website at www.raysl-soccer.org.